Dr Shiva Rayar received a Bachelor of Medicine from the University of Newcastle in 2007. On the completion of his degree, Shiva joined St Vincent’s Hospital Sydney working within a variety of specialist teams for over 4 years. His work was recognised with the prestigious Senior Resident of the Year Award in 2010. He then went on to complete his training in General Practice and received a Fellowship with the Royal Australian College of General Practitioners in 2013. Shiva also concurrently undertook training in HIV Medicine and became a practicing s100 Prescriber. As a General Practitioner he has worked in interesting fields such as Emergency Medicine, Sexual Health, Refugee Health, and Indigenous Health. 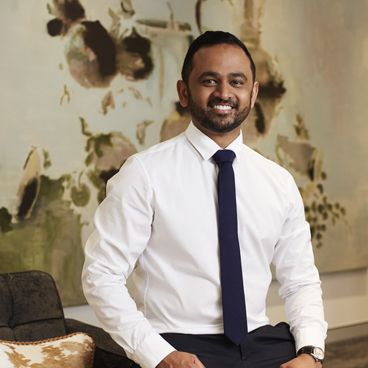 It is with this diverse breadth of experience that Shiva has laid down roots at Holdsworth House Medical Practice and provides comprehensive and compassionate care for his patients.